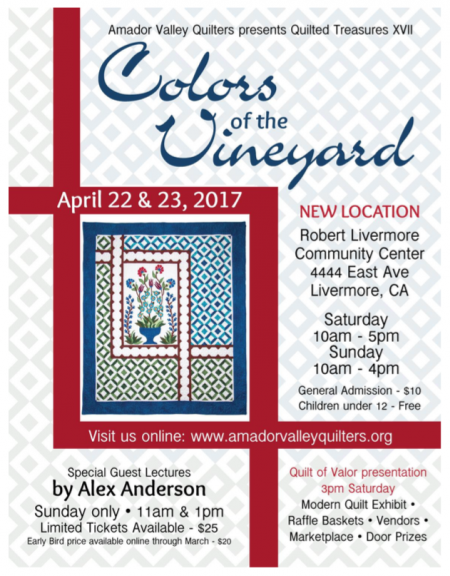 The Amador Valley Quilt Guild, based in Pleasanton, California, used to have its biennial show at the fairgrounds. Now they’re having it at a spiffy new location in nearby Livermore. Does Livermore ring a bell? Yes, it is the home of Alex Anderson! And she’s giving two talks on Sunday! The show is this coming weekend, April 22-23, at the Robert Livermore Community Center. I’ll be there in my vendor booth in the Ballroom. If you ever wondered, Robert Livermore was a Brit who jumped ship in 1822 and eventually became an influential landowner who helped shape California. He’s also the Livermore part of the Lawrence Livermore national research facility, and there’s an element named livermorium! Excellent! Look forward to seeing you Helen!! 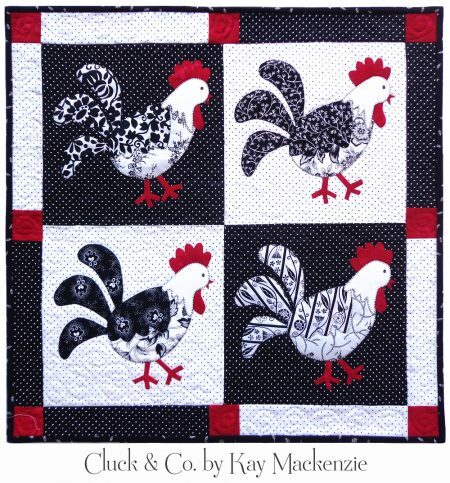 This is PRECIOUS🐔 loving it in a kitchen.